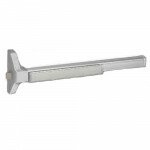 GLS7700EO36 Cal-Royal Narrow Stile Rim Exit Device Grade1 for Wood, Metal or Aluminum Glass doors wi..
GLS7700EO48 Cal-Royal Narrow Stile Rim Exit Device Grade1 for Wood, Metal or Aluminum Glass doors wi..
715x28x88 Alarm Lock Sirenlock™ Delayed Egress Panic Exit 33” BarUL Listed panic alarm deadbolt devi..
700 Alarm Lock Sirenlock™ Exit Alarm Device, 36" Panic Bar with Deadbolt. 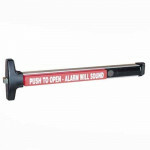 Push bar with alarm.Unauth..
710 Alarm Lock Sirenlock™ Exit Alarm Panic Bar 36”UL Listed panic alarm deadbolt device which restri..
250x28 Alarm door deadbolt Lock Sirenlock™ Paddle Exit Deadbolt & Deadlatch w/AlarmUL Listed pan.. 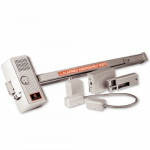 The Alarm Lock PG30 Keypad-Controlled Door Alarm is a keypad operated surface-mounted microprocessor..
.UL Listed panic alarm deadbol..
715x28x88x48 Alarm Lock Sirenlock™ 715x28x88x48 Delayed Egress Panic Exit 48” Bar.UL Listed panic al..
PG10 Alarm Lock Pilfergard Exit Alarm PG10 Pilfergard is an exit door alarm designed to deter th.. 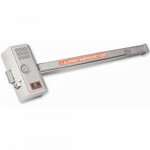 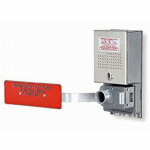 The Alarm Lock PG21MS Key-Activated Door Alarm is a microprocessor-controlled door alarm for surface.. 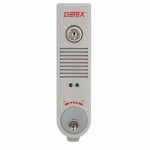 The Alarm Lock PG21MB Key-Activated Door Alarm is a microprocessor-controlled door alarm for surface.. 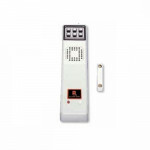 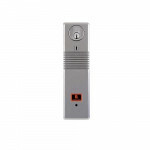 The Alarm Lock PG21MSS Key-Activated Door Alarm with strobe is a microprocessor-controlled door alar.. 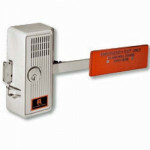 The Alarm Lock PG21MBS Key-Activated Door Alarm with strobe is a microprocessor-controlled door alar..
11A Alarm Lock Deadbolt exit only lock with alarm designed to control unauthorized use of emergency ..
BP6 Alarm Lock 6volt Battery -Replacement Battery for LL1, PG10, and 11A Door Alarms Technical S..
Detex V40 EB in 628 finish is a Battery Powered Exit Alarm (9VDC) is designed for primary and second.. 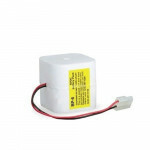 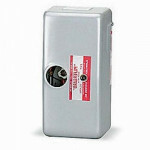 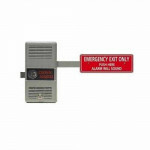 The Detex FV40 EB LD 628 99 36 Fire Rated Battery Powered Exit Alarm (9VDC) is designed for primary ..
Detex EAX-500 Exit Alarm, Battery Powered, Door or Wall Surface Mount,designed for applications that..
Detex ECL-230D Grade 3 is a Short Bar Exit Control Lock (deadbolt) is not only easy to install, but ..